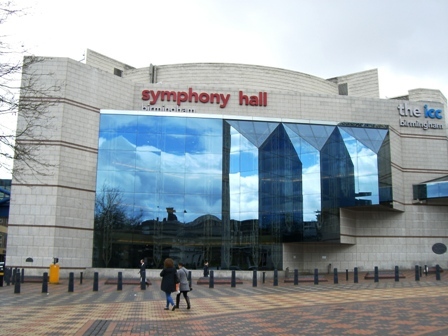 The 'First Lady of Musical Theatre', singer Elaine Paige, returns to Birmingham's Symphony Hall on Saturday November 5, 2016, for a back-to-basics show. Entitled 'Stripped Back', the concert features Elaine and a five-piece band performing her most popular hits and songs from her favourite songwriters. Along the way, expect stories and an insight into the 68-year-old's 52 year career. The show includes Memory, I Know Him So Well and With One Look, alongside Macarthur Park, Help and many others landmark numbers. Elaine says: "This is going to allow me to do something completely different. A brand new show celebrating songwriters I love such as Andrew Lloyd Webber, Tim Rice, Harry Nilsson, Jim Webb, Burt Bacharach, Sting, Lennon & McCartney... the list goes on. Their music has been the soundtrack to all our lives, not just mine. And it's the ideal opportunity to perform in an intimate way… I'm doing these new shows 'Stripped Back!" The Olivier Award winner and five-time nominee has starred in numerous productions in the West End and on Broadway. She has also performed in concert worldwide, from The White House to The Great Hall of the People in Beijing, from the Bolshoi to Sydney Opera House. Elaine swept to fame when she created her award-winning performance as Eva Peron in Evita. Shortly afterwards she created the roles of Grizabella in the original production of Cats - the classic song Memory becoming her signature – and Florence in Chess, which featured her record-breaking number one hit I Know Him So Well with Barbara Dickson. Elaine's other theatre productions include Hair, Jesus Christ Superstar, Grease, Billy, Anything Goes, Piaf, Sunset Boulevard in London and on Broadway, The King and I, Sweeney Todd (New York City Opera) and Stephen Sondheim's Follies in Washington, New York and Los Angeles. She has released 22 solo albums and been featured on seven cast recordings.She continues to present the hugely successful weekly BBC Radio 2 show Elaine Paige on Sunday, which is devoted to musical theatre and film music and attracts audiences of over 2.5 million listeners each week. Dec 18: London, Theatre Royal, Drury Lane. Why? 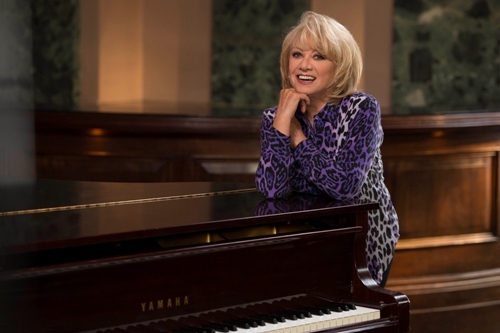 First Lady of Musical Theatre sings her favourite songs.